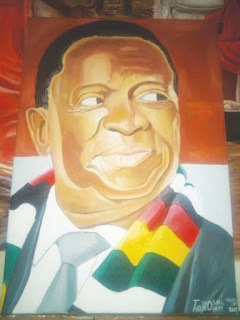 Tinos Melvin Ndirowei's portrait of President Mnangagwa. MWENEZI - Ndirowei Tinos Melvin an Art teacher at Mafomoti Secondary School near Mwenezana Estates in Mwenezi is appealing for well-wisher who can help him find a market for his products. Melvin said that he has a lot of paintings and sculptures he has made but does not have any information on markets. 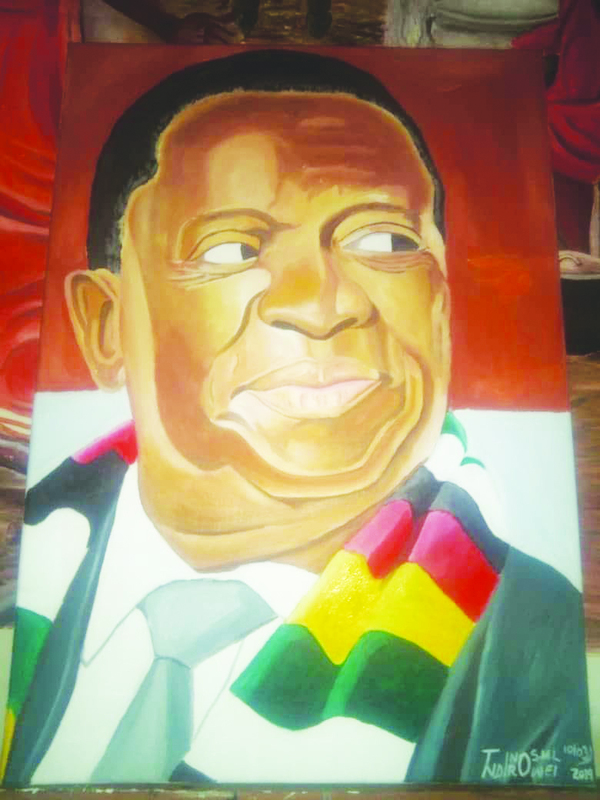 He rose to fame after he made a potrait that was handed over to President Emmerson Mnangagwa at a recent rally in Mwenezi. Melvin is also the head teacher in Charge at Mafomoti. “I was inspired by the Zimbabwe birds and motivated by Great Zimbabwe University Arts Lecturers but mainly by Joseph George Mupondi. Mupondi is lecturer at Great Zimbabwe University. I did the portrait which was given to President Emmerson Mnangagwa at the last rally in Mwenezi,’’ said Melvin.